Luis Lanfranco's Madison Muskies clung to a slim lead in the sixth inning of this May 1991 game at Kane County and Lanfranco make sure it stayed that way, according to The Arlington Heights Daily Herald. With a runner on third and two outs, Lanfranco made a diving grab to record the final out of the inning and preserve the lead, according to The Daily Herald. "That was the play of the game," Kane County manager Bob Miscik told The Daily Herald after his team's loss. "That's what we don't do, make the play of the game." Lanfranco made that play in his third season as a pro. It was also his final season as a pro. He never made AA. Lanfranco's career began in 1989, signed by the Athletics as an amateur free agent out of his native Dominican Republic. 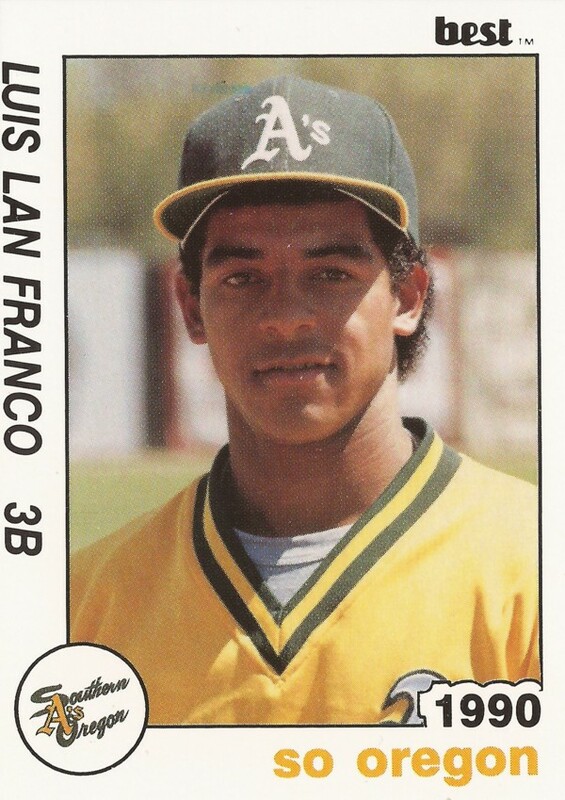 Lanfranco's name has also been spelled Luis Lan Franco. Lanfranco played his first season in the rookie Arizona League. In 49 games, he hit .282, with one home run and 38 RBI. He moved to short-season Southern Oregon for 1990. He hit .278 over 69 games there. In August, he was the seeming target of an opposing player slid hard into second. The slide touched off an argument, then a brawl. Lanfranco moved to single-A Madison in 1991. Over the season, his average came in at .259. He knocked in 43. In September, a Lanfranco single helped Madison defeat Kane County in the playoffs. But Lanfranco's career ended with the end of the playoffs.